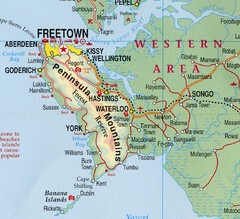 Cities and towns of Sierra Leone. 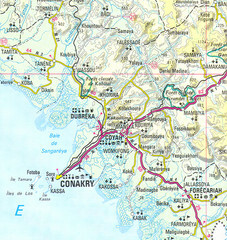 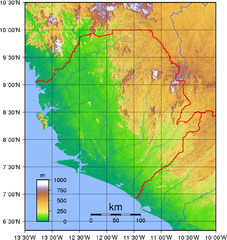 Map marking airports, rivers, cities and geography of this Guinea city. 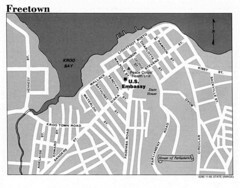 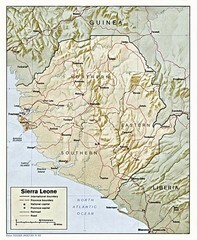 Road map of this Sierra Leone Capitol.